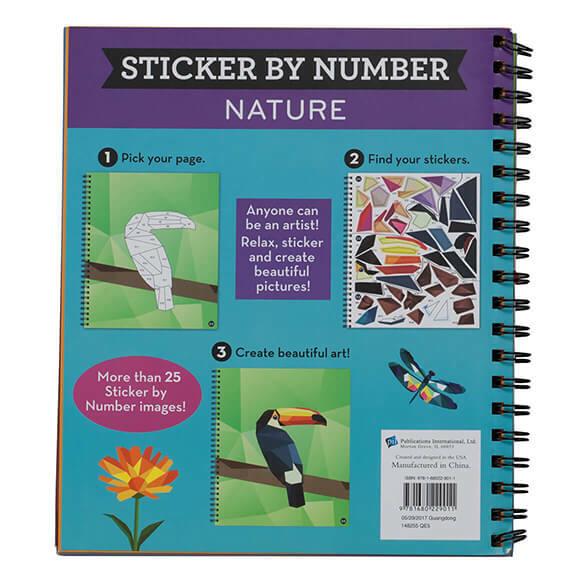 Keep your brain active and engaged while creating unique nature-themed artwork in this fun Brain Games™ "Nature" Sticker By Number Book! Just like a color or paint-by-number activity, each image is divided into numbered blank spaces, and each space’s number corresponds to a sticker located in the back of the book. Simply search for and find the sticker, peel it off and place it in the correct blank space to create a fantastic, full-colored image. 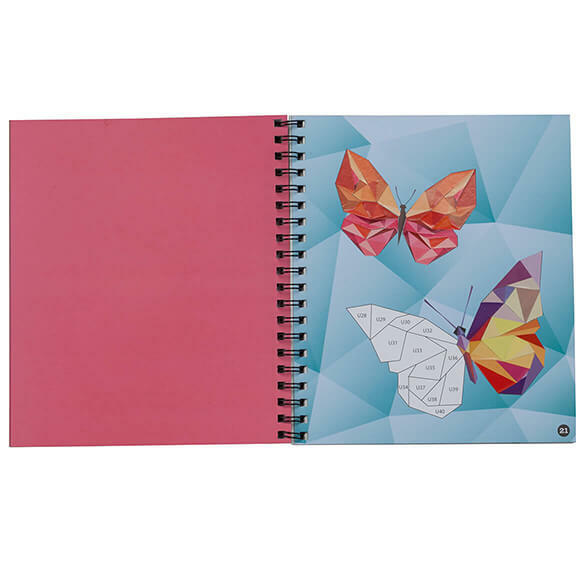 Spiral binding helps keep pages open while you work, making this book easy to use. Sticker book includes 28 nature images with answer key. 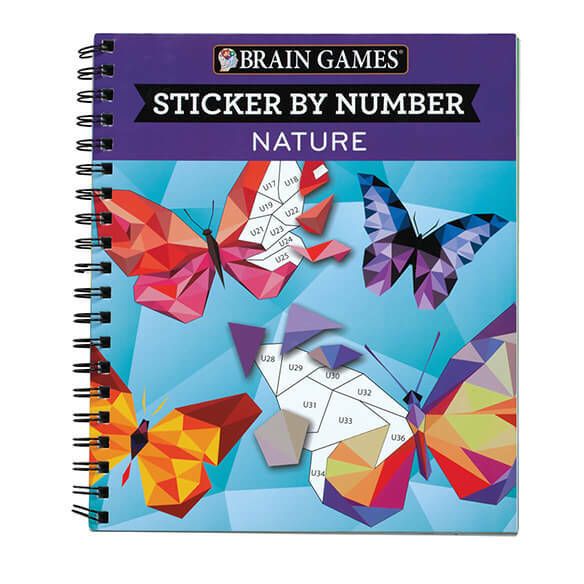 This is the second Brain Games sticker number book I bought for my 12 year old granddaughter. Bought the first one for xmas and she enjoyed it so much, I ordered the second for her birthday. I would love if you could offer more of these books. This sticker book is awesome for who are autism children can do this my daughter who is autism she done this book one day ! This is really wonderful book ! My granddaughter liked the animal one and thought she would like this one.